What is Stealth VPN? Today, we are going to answer that question so you can understand what it means. You may have heard of Stealth VPN in our TorGuard VPN review, and wondered what makes it so good–and why is it ideal to use with VPN for censored countries like China, Iran, or even Russia? In simple terms, Stealth VPN is camouflaged or disguised, VPN use. Stealth VPN can either be implemented on a server or protocol. 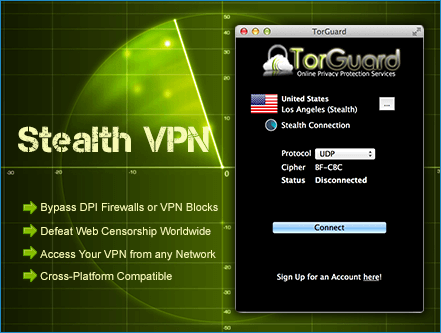 For example, TorGuard VPN uses Stealth VPN servers while something like VyprVPN uses a StealthVPN protocol. iOS and some other operating systems limits what protocols you can use, but with TorGuard VPN you can access Stealth VPN from any platform while a VPN like Vypr’s Chameleon protocol works only on some platforms. Beyond the protocol understanding and how it’s implemented, Stealth VPN is quite simple. When you use a Stealth VPN protocol or server, your VPN usage cannot be detected by firewalls or applications that want to block VPN traffic. Countries like Iran, Cuba, UAE, China, Russia, and even Australia actively want to prevent VPN use since they want to monitor and control data flow. These countries claim they want to protect their citizens, but when has dictatorship ever claimed otherwise? At the end of the day these countries want to limit freedom, and Stealth VPN is one way people can use technology to achieve it. Sometimes, it’s not as complicated or complex as a government or country seeking to limit Internet usage and block websites or platforms. It can also just be an overzealous network admin or restrictive school firewall that wants to censor certain websites or block “play time” at work. Stealth VPN lets you get around VPN blockades and tunnel through firewalls, so you don’t have to have your network activity monitored. How does Stealth VPN work? Stealth VPN makes your VPN traffic appear like regular web traffic. When I refer to Normal web traffic–what I mean is HTTPs traffic. HTTPs is what is sent to your computer every time you visit a website. This is the “https” in a site’s URL, and you’ve seen it before on any site you visit. A router or firewall can quickly identify HTTPS traffic because it uses port #443. So if you’re using a VPN, you don’t appear like you’re using HTTPS traffic–but if you can trick a firewall into thinking you are, your VPN usage can’t be flagged or blocked! How does Stealth VPN appear like HTTPS traffic? This is where it gets a bit more complicated. Usually, when a VPN is connected, it uses OpenVPN encrypted data that contains two parts. One part is the header, which has packet identification and routing information, while the payload has the encrypted portion of the data packet which gets forward by the VPN server to the correct web address. In order to hide the use of OpenVPN, we obviously need to strip away the header part of the OpenVPN data which contains information identifying VPN encryption. Stealth VPN protocols and servers can thus take away the header part of the encryption by using a technique called “Obfuscation”. Finally, after the header data is hidden, it now needs to be transformed. In order to make the header part not just seem hidden, but also appear as HTTPs traffic, Stealth VPN protocols and servers use SSL/TLS encryption that wraps the OpenVPN payload in a second layer of encryption through port #443 (this is the port that normal HTTPs traffic uses). Now the header part of the VPN traffic looks like normal HTTPs traffic, while the payload is doubly encrypted. With the obfuscation technique and rerouting of the port #, Stealth VPN masquerades VPN use as normal internet traffic (HTTPs). When and why do I need Stealth VPN? If you’re located in a censored country like China, UAE, Russia, Iran, India, Egypt, or in an increasingly vast number of other nations in the world, you might have found that you cannot access your favorite websites, platforms, or even online services like Netflix. Some countries even hate VPN usage so much that using it is a crime or block it entirely–so using Stealth VPN is mandatory. In other cases, some people just use Stealth VPN when they can’t use standard VPN at work or school due to firewall restrictions. ISPs have also been known to throttle VPN connections at times, so using Stealth VPN servers or protocols can help hide your VPN use so your internet data and speeds don’t get throttled. Thirdly, another reason you should use Stealth VPN is if you are a SUPER privacy advocate who hates the idea of spy agencies knowing you are using a VPN. Your VPN traffic will be hidden within all other HTTPs traffic submitted daily. What are the best Stealth VPNs? Unfortunately, while Stealth VPN is almost necessary to use with VPN in a lot of cases as just described, not many VPN services support real VPN obfuscation. However, our top rated VPN does (which is one reason it’s our top rated VPN among other reasons as seen here). So if you’re looking for the absolute best VPN to use Stealth VPN with, pick TorGuard since they use Stealth VPN servers instead of a protocol which means it’s cross-platform compatible. Not only that but they are also the only Stealth VPN supported VPN provider that utilizes a “Stealth Proxy” alongside their Stealth VPN servers. With TorGuard’s focus on Stealth VPN and usage in censored countries, it means your normal traffic is protected three times over. First, your normal traffic is sent through a VPN, then Stealth VPN hides that encryption process through obfuscation and more encryption. Thirdly it’s routed through their Stealth Proxy which hides Stealth VPN use again. The use of Stealth Proxy hides what can be referred to as a “VPN handshake”. Another option is VyprVPN, as we mentioned before since they have their own Stealth VPN protocol called “Chameleon”. 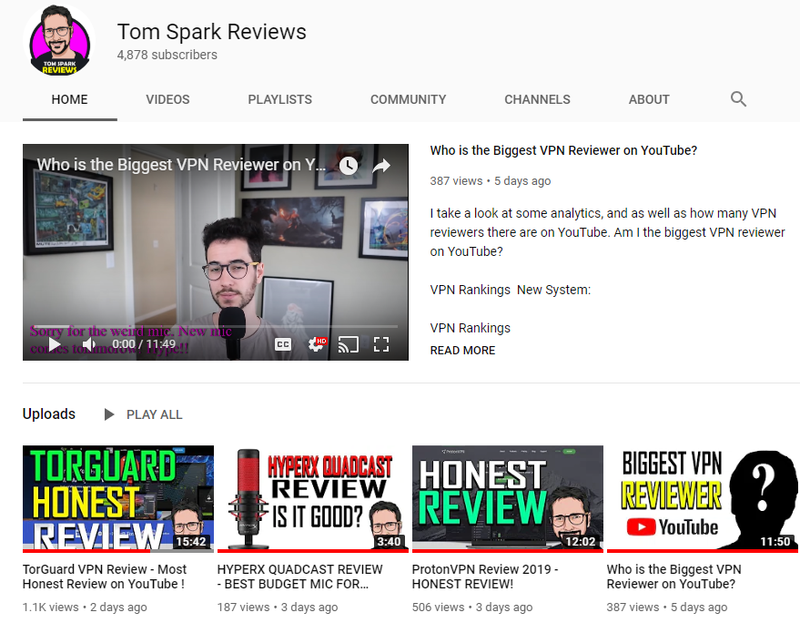 This is a good option with decent security, but we don’t like their apps, speeds, website, or support services as much–as we found them in our review here. Their marketing campaigns and multi-focus company support doesn’t feel as reliable as a TorGuard. Lastly, just to mention it, Astrill VPN is another VPN provider who claims that they have an active Stealth VPN working for countries like China. Using Stealth VPN in countries like China, Russia, Egypt, the UAE, or any other countries which wants to halt VPN use and thus free access to an unrestricted internet is becoming mandatory and extremely useful. Stealth VPN to protect internet freedom and it works by obfuscating normal VPN use to look like normal internet traffic. TorGuard VPN is our recommended Stealth VPN provider since they include Stealth VPN and their Stealth Proxy (unique to TorGuard) for free with their normal subscription–unlike some other VPN providers which charge extra per month. It’s also worth mentioning that we just updated our own TorGuard review since they’ve updated their service and client to give you access to Stealth VPN on EVERY server everywhere (before you had a limited selection of servers). Thanks for the info. It is really informative.